Date of publication: November 10 2013 . 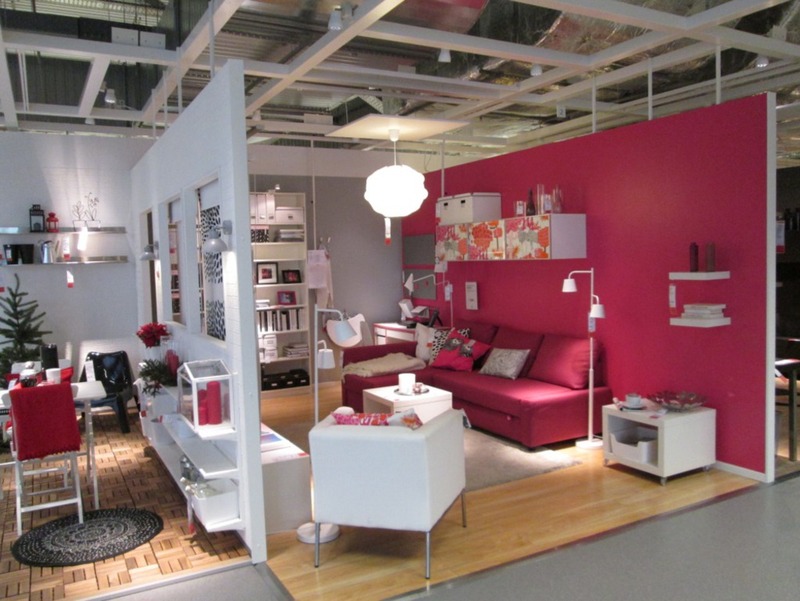 Not so long ago it opened the first IKEA store in the territory of the Baltic States. About him not only lazy writing, including we did Publications the opening of the shopping center in Vilnius. We were fortunate to personally visit the new shop and today we would like to describe our impressions of his visit from a practical point of view. So, we go on a journey. Store is located near Vilnius at the Congress of the road Vilnius-Minsk. To date, the maps NAVITEL no new interchange and addresses of the store, so had to be guided by signs. From the road you can see the already long familiar to all corporate shield IKEA, but it is located far enough away from the store and more misleading than helpful to find the entrance. Unfortunately, the appropriate pointers on the road is not enough: the first time slipped, and the second time were just on a whim, because the other options there was no movement. 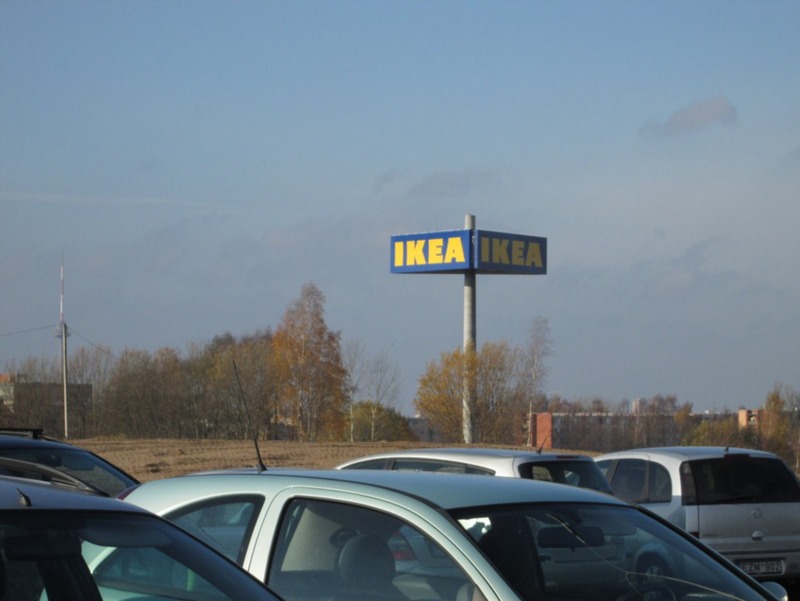 Please note that from the train station to the shopping center IKEA also a bus №2 "Station-Airport" (stop Vikingų g.). So, we got to the destination. 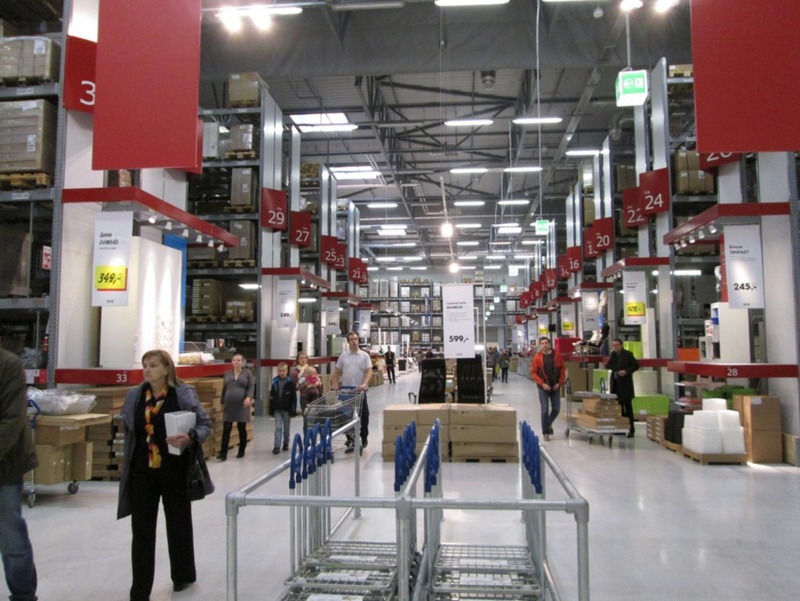 In principle, the IKEA store in Vilnius is one of the standard options IKEA stores worldwide. Decorated in the company's colors. The shopping center has a two-story structure labirintopodobnuyu. On the upper floor there is "labyrinth"With interiors and pieces of furniture, on which you can sit, lie down and almost feel like the master of the exposed interior. 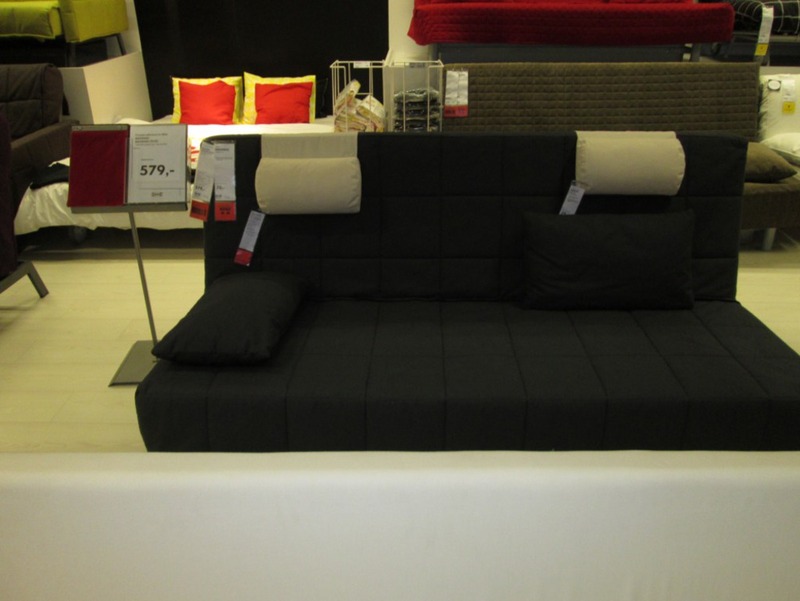 Here there is a cozy living room and comfortable bedrooms, and furniture intended for a child's room environment. On the ground floor the property is located warehouse goods, where there are basic "purchase". 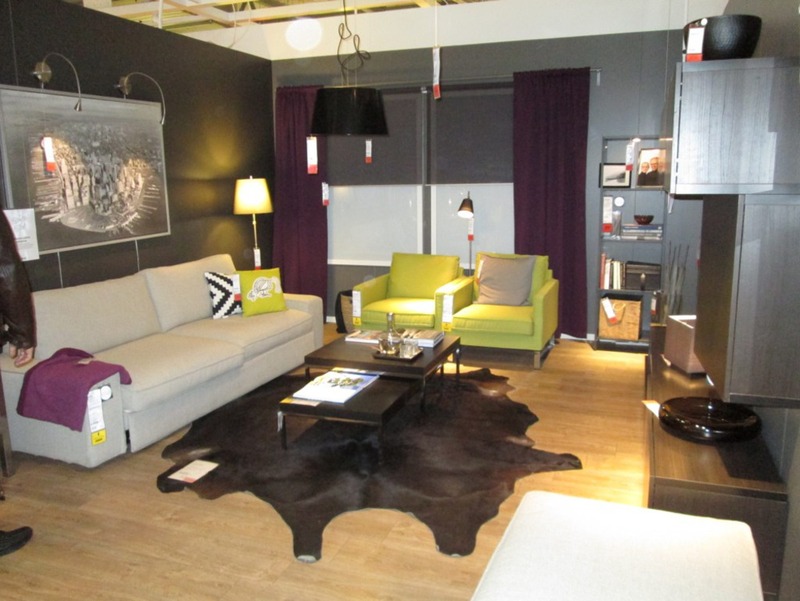 In the exhibition hall are almost all furniture collections, and in different colors. Very convenient to focus on the trading floor thanks outdoor signs, as well as half of Bordeaux with the name of the collection, from which furniture for sale, and, importantly, its size and cost. 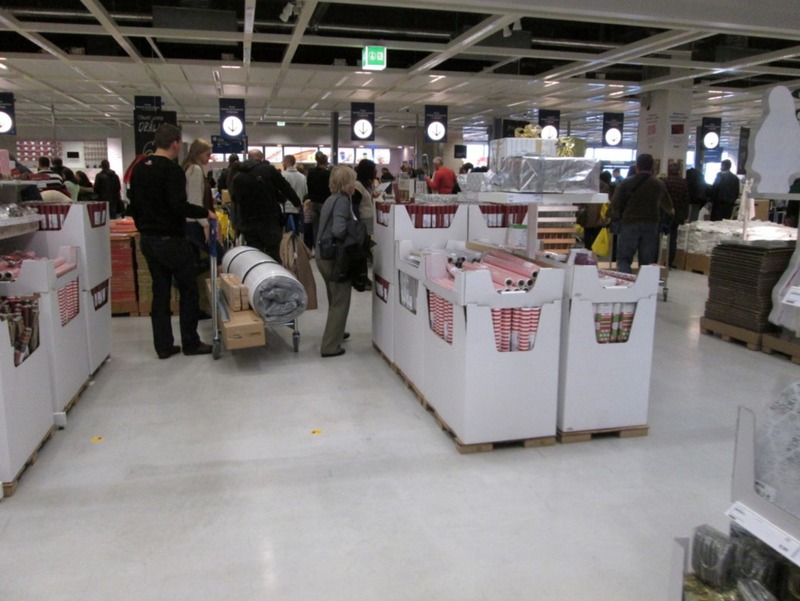 Occupy a separate stand food IKEA already equipped with all sorts of accessories. This will allow the purchase beforehand attention to detail kitchen interior, which, thanks to the efforts of designers will look holistically and harmoniously. It's amazing and it was nice to see the table layout so everything is thought out in detail and detail. At the end of all this diversity is available for traditional shopping centers line of desks, in front of which there are shops and cafes Swedish products with the cheapest in Vilnius hot dogs. We would like to talk about promotional cards called IKEA FAMILYWhich can be issued in any shopping center Swedish furniture manufacturer, including in-store, located in Vilnius. Check out the map may be quite attained any person 18 years, you just fill out a form. And do not forget to bring a map on hand, it will allow you to enjoy special prices and offers on selected products, reduced prices before the start of sales. Further, participation in the program IKEA FAMILY provides an excellent opportunity for free to be treated with a cup of coffee or tea, take part in exciting activities of the club and take advantage of special conditions for the return of the goods, if it is necessary. At the entrance to the store on the right is a special stand, where you can receive this map. At the booth located 3 computer, where you can fill in a questionnaire on their own for a card. The questionnaire is available in three languages ​​- Lithuanian, English and Russian. As the country of residence offers a great number of countries, including the Republic of Belarus. The data itself is in the form should be made in English letters. After filling the questionnaire card can be picked up in the department of service that is to the left of the line of desks. Enough to print the voucher in a special machine and wait their turn. In the device options print coupons corresponds to the bottom button. The card is activated via 30 minutes after the request. Thus, it is advisable to issue the card before visiting the store. 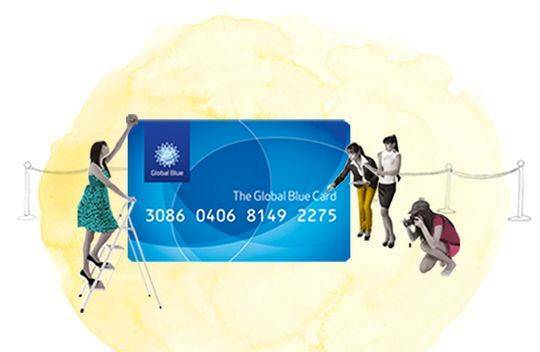 Refund Tax Free Is carried out in a manner similar to the receipt of a card. You need to get a coupon and wait for your turn. We would like to draw your attention to the fact that IKEA currently returns Tax Free exclusively through the Global Blue system. 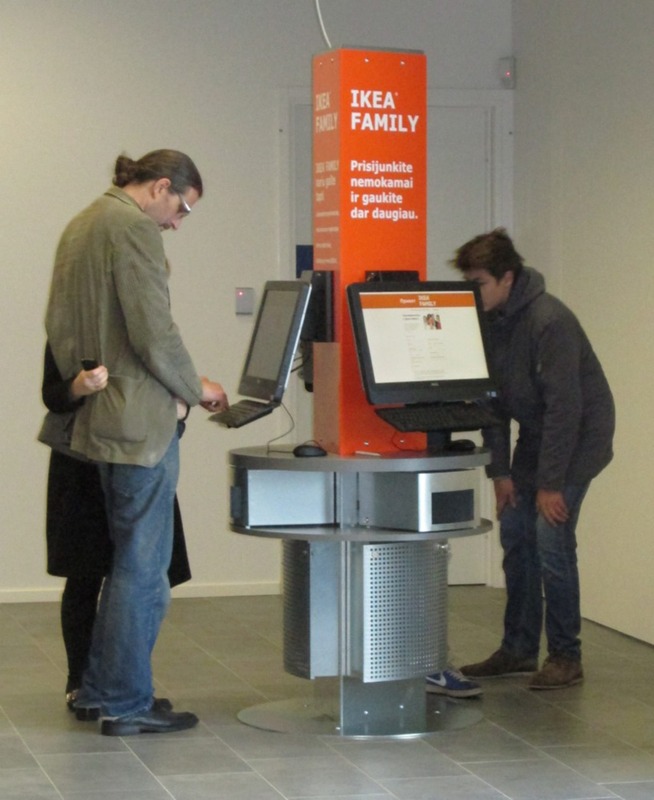 You can return Tax Free not only from furniture, but also from shopping in the IKEA store, which is located opposite the cash registers. This is very convenient if you "did not reach" to the required 200 litas, after which you can return Tax Free. In this case, you can go to the Swedish food store and make purchases to the desired amount. Tax Free refund is approximately 11-12% of the purchase amount. As for prices, then found the goods as cheaper and more expensive than in Russia. 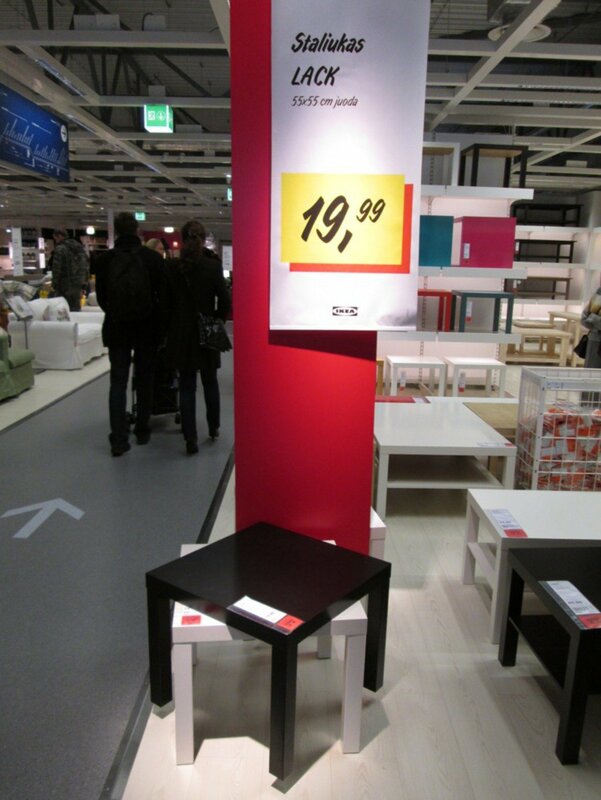 However, the majority prices lower than the Russian, but higher than the mall IKEA in Poland. 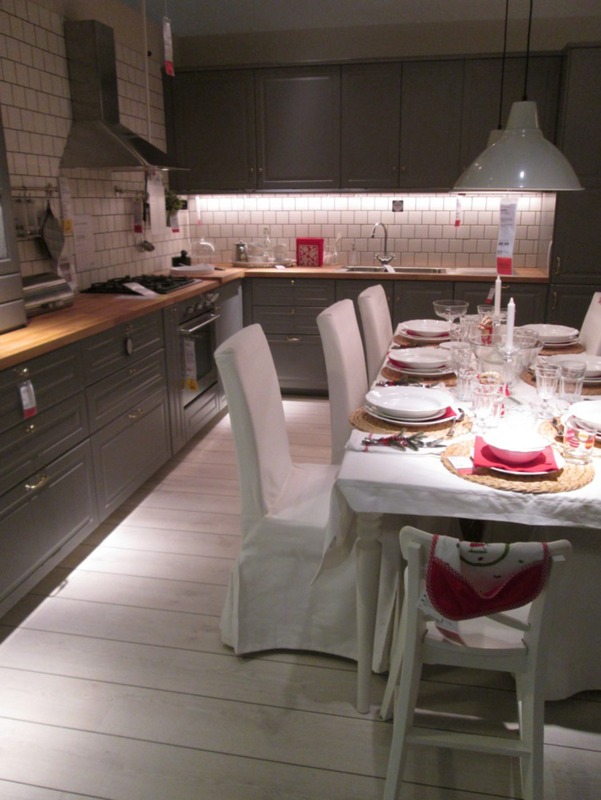 In any case, Vilnius IKEA store will be another place of attraction and an additional reason to visit this Baltic capital. 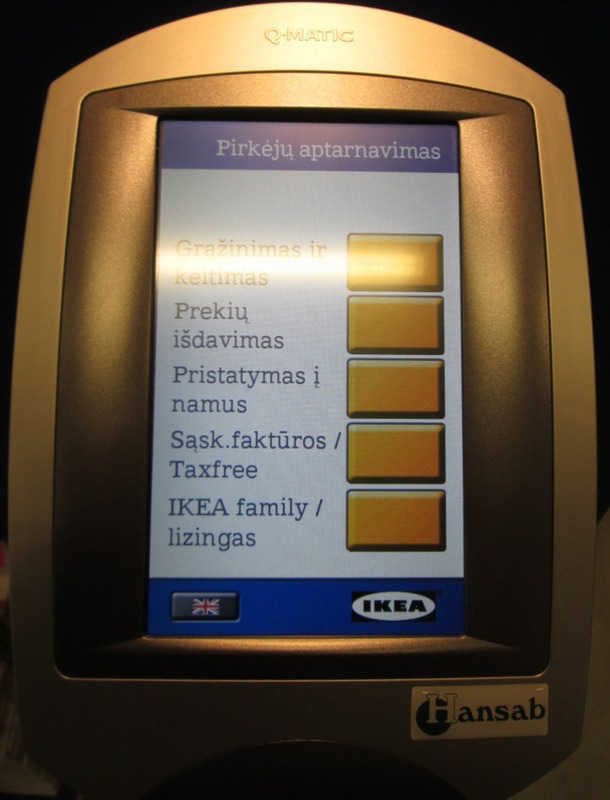 By the way, in order to compare the prices of goods IKEA in different countries, including in Vilnius, you can use our new service. We note one more important and enjoyable time: almost all employees understand the Russian language and be able to answer all your questions.